Got a Group? We can help! Have you ever felt like you just needed a week to get away from it all, take care of yourself, pamper your body, quiet your mind and go back into life refreshed, with a new and inspiring outlook? I know I have, and whenever I can I follow that calling! There are so many wonderful places all around our globe but here is a place that is right next door! 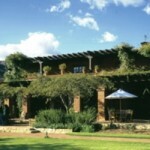 The place is called Rancho La Puerta, 45 miles southeast of San Diego in a small Mexican town called Tecate. 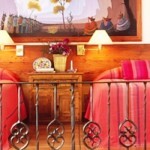 It’s a little gem that has been around for over 70 years, during which time it has matured to a truly magical retreat. Whether it is a strolling meadow walk or a demanding 11-mile trek, every day is custom tailored to you and the experience you are looking for throughout your week. Sports include volleyball and tennis, with water aerobics being one of the favorites. 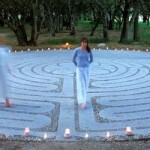 To reawaken your inner awareness, discover a new grace in Yoga, Tai Chi, Mediation and other mind-body pursuits. It is up to you how much or how little of any of these practices you’d like to participate in. Then after a day of activities, allow your body to be pampered by one of the soothing spa treatments. 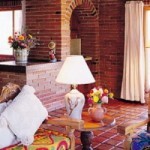 At Rancho La Puerta it is not only the things outside your body that will inspire and excite you. Great emphasis is given to the food you are receiving – handpicked organically grown vegetables and fruits. 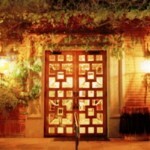 They arrive daily in the kitchen from the ranch’s own orchards, vineyards and gardens. If you would like to learn how to prepare all these delicious, healthy and nutritional meals yourself, take a course in the new cooking school and culinary center, La Cocina Que Canta, “The Kitchen that Sings.” Who wouldn’t want to eat meals prepared in that kitchen? What comes to mind when looking at this outstanding resort, is a perfect place that truly approaches each and every person in the most wholesome way, the way we were meant to live naturally, where every aspect of life is being addressed in a loving, caring and thoughtful way. The mind is enlightened and soothed by the beautiful surroundings of nature and the soul is stirred and inspired, making you feel that anything is possible. Excited yet? I invite you to spend a week in this amazing place and come back completely rejuvenated and ready to go through life with a new outlook. Take a moment to watch the wonderful video below. May all your travels stir your soul and change your life forever – Ales. Ales, Absolutely amazing trip. Well done sir. We had a wonderful time and the whole trip was very smooth. Tour company was excellent. Thank you! I will definitely be referring some friends of mine your way. Sheri A Rosenthal DPM, Inc. dba Journeys of the Spirit® is registered with: The State of Florida as a Seller of Travel - #ST35968, The State of Washington - as a Seller of Travel #603-050-619, The State of Hawaii - Travel Agency #6748, The State of Iowa - Travel Agency #986, CST 2102811-50. For complete credentials please visit our Credentials section.